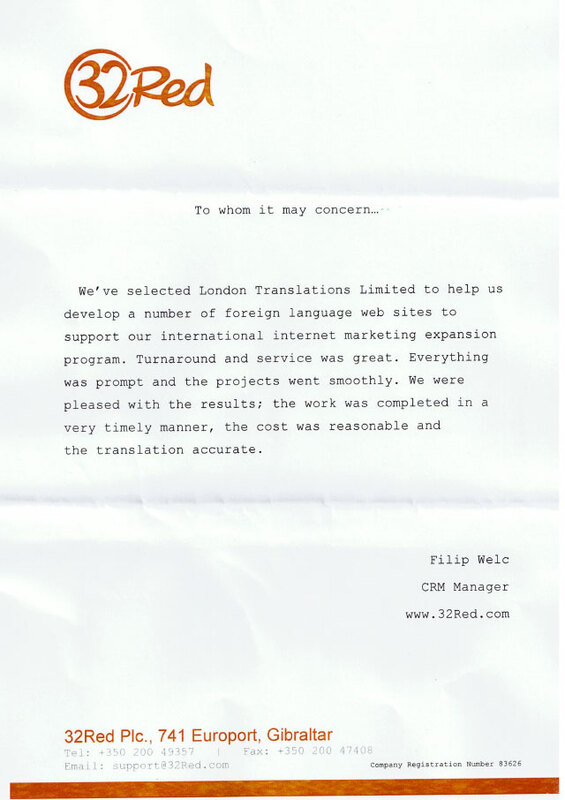 We’ve selected London Translations Limited to help us develop a number of foreign language web sites to support our international internet marketing expansion program. Turnaround and services were great. Everything was prompt and the projects went smoothly. We were pleased with the results; the work was completed in a very timely manner, the cost was reasonable and the translation accurate. I am very impressed with the quality of customer service I receive from your agency, are you are very attentive and you highly active and always meet my deadlines. We needed some website copy translated at very short notice into 12 languages. After finding London Translations via a web search we engaged them and were very impressed with the speed and efficiency of the service. This was the first time we had used your company and we will be sure to use you again in the near future.